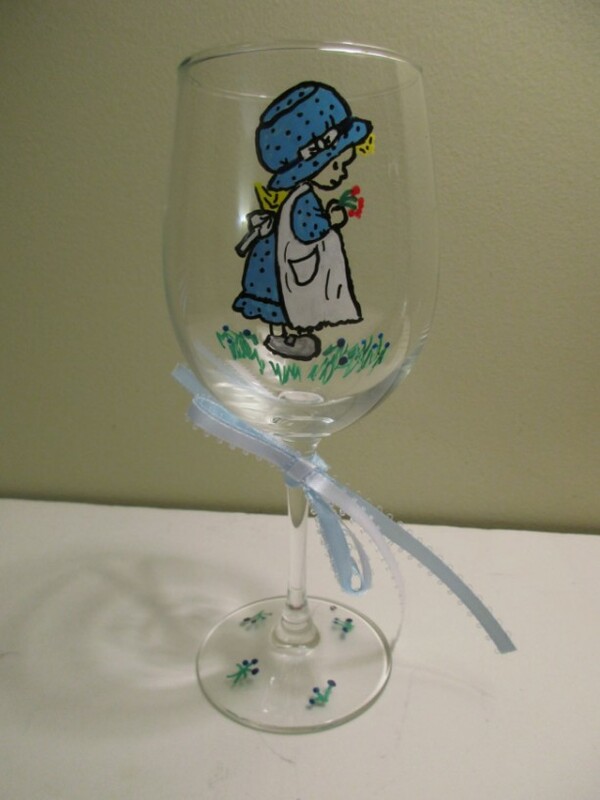 Painted Wine Glass Holly Hobbie in White Apron 12 oz. 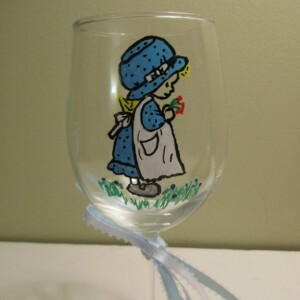 Holly Hobbie is an American writer and illustrator and the name of a fictional character based on this person. 12 oz. 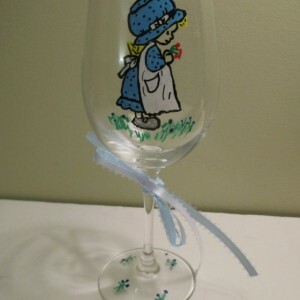 Glass Blue Hat, Blue Dress, White Apron. 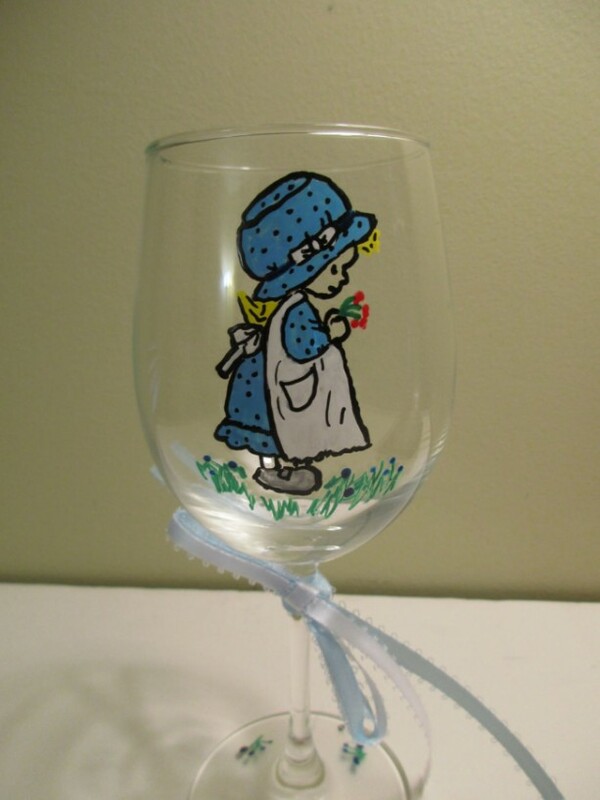 She is holding flowers Wine Glasses are all Hand Painted - there will be no 2 alike. The harsh chemicals and high temperatures of a dishwasher can damage the paint. We recommend gentle hand washing.